Kayleigh Anne Freeman was born 3 months early weighing only 1 pound. 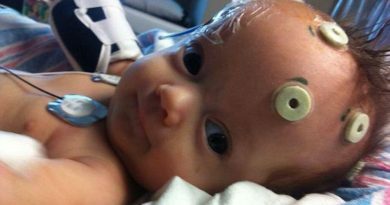 Doctors prepared Kayleigh’s parents for the worst, but against all odds, she survived for nearly 1 year. Though a sad ending, she leaves behind a miracle of hope and love. Watch Kayleigh’s video below and comment to comfort Kayleigh’s family. Click to enter this week’s Cutest Baby Contest!